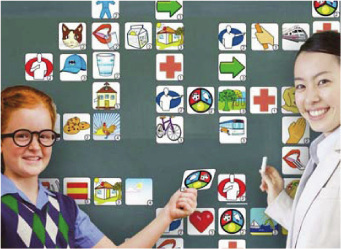 Tribeca Language is the home of the QTalk Method of Language Instruction, a cognitive approach developed by Maurice Hazan, co-founder of Tribeca Language. 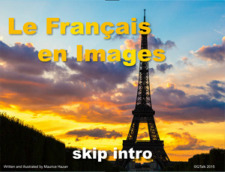 ​We use this proprietary image library system to SHOW each word - teaching vocabulary the same way we learn as babies - with images and sounds. Text comes after. 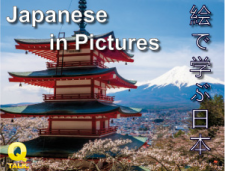 ​These images for subjects, verbs and objects are placed side by side in the their proper syntax order so the sentence structuring is learned in a fun, organic way. 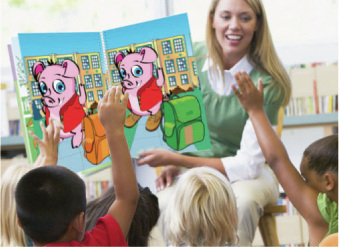 It works for students as young as 2 years old. 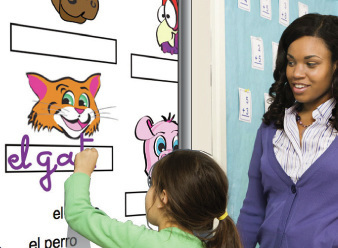 QTalk is used in hundreds of schools in the US and abroad and is endorsed by neurologists, linguistic centers such LARC and is the subject of research and thesis. Adults will be able to form dozens of new questions and answers after each lesson. It seems like magic! We focus on teaching you to SPEAK! Class time is not used for writing. 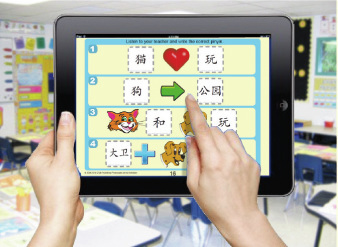 Conjugation is taught in a revolutionary way that makes use instantly doable! 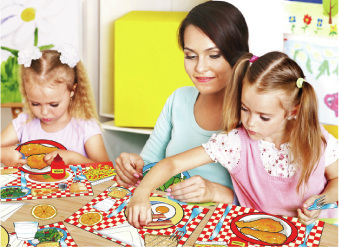 For Children, the teacher comes to your home or other approved location with an array of our proprietary early education tools and uses them in conjunction with the objects, toys and games in the room being used - generally a child's bedroom. 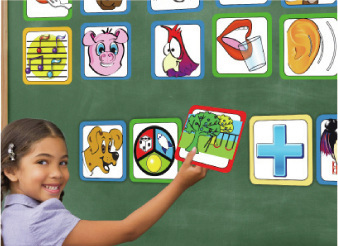 This way the vocabulary and use is personalized to the things that actually matter to them - wanting to play the game or pick up the object, etc. We even incorporate use of beloved board games as a tool for practicing vocabulary, question asking and sentence structuring. Click on any of these thumbnails to try QTALK now. 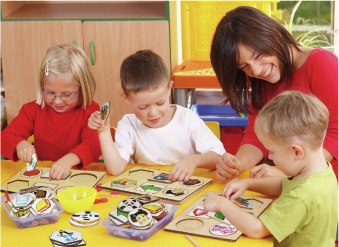 All language aspects are at play including reading and writing. Dozens of unique tactile tools are enjoyed in class. ﻿"QTalk is a method based on a series of intuitive images representing subjects, verbs, objects, places, conjugations and much more. 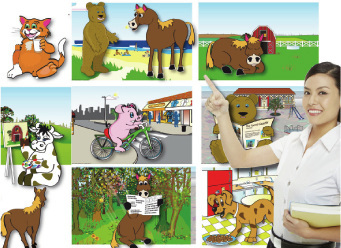 We invite children and adults to interpret these images, as they are placed side by side, in the form of sentences. A simple technique of introduction allows for the students to immediately understand their meaning. From the very first lesson, you are able to interpret and construct sentences, thereby learning grammar by actually using it. 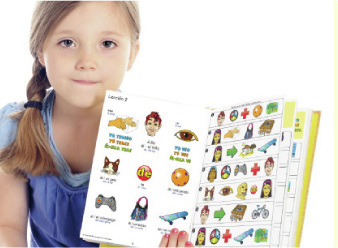 QTalk Publishing is the sole-source provider of QTalk Method materials and texts. 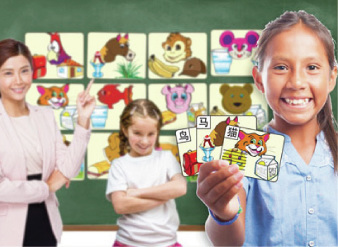 While we partner with Tribeca Language as a development site for QTalk curriculum and materials, only Tribeca Language has the full set of classroom manipulatives, workbooks, Online Games, online "flipbooks", and much more being improved and added every day by Maurice Hazan and his collaborators. For more information about QTalk, contact QTalk Publishing at 877-549-1841, or visit www.QTalkPublishing.com.